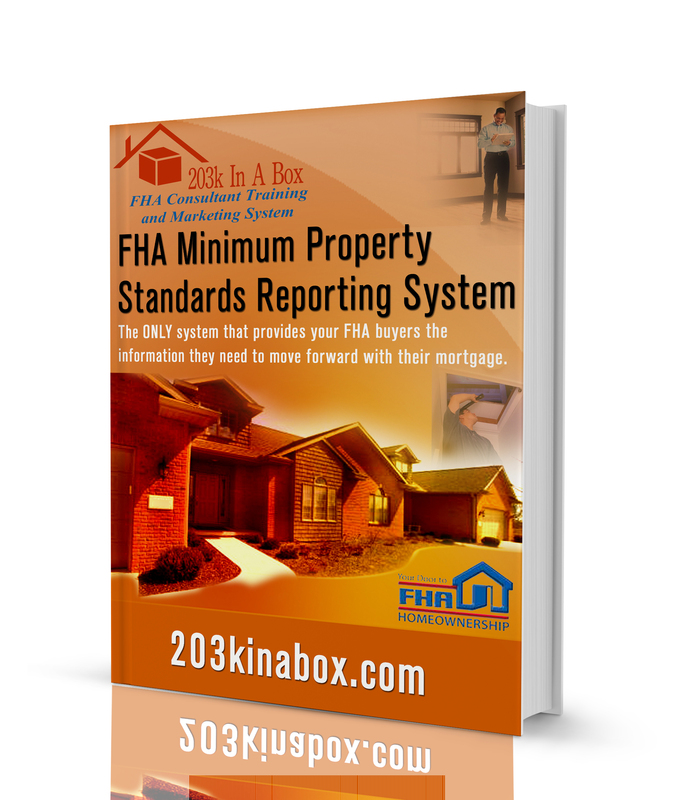 The FHA Minimum Property Standards Reporting System is a system to provide your FHA buyers the information they need to move forward with their mortgage. Help your buyers identify possible needs for alternative financing while distinguishing between home inspection standards and FHA requirements. Be the expert! Be the one-stop-source to your FHA homebuyers!